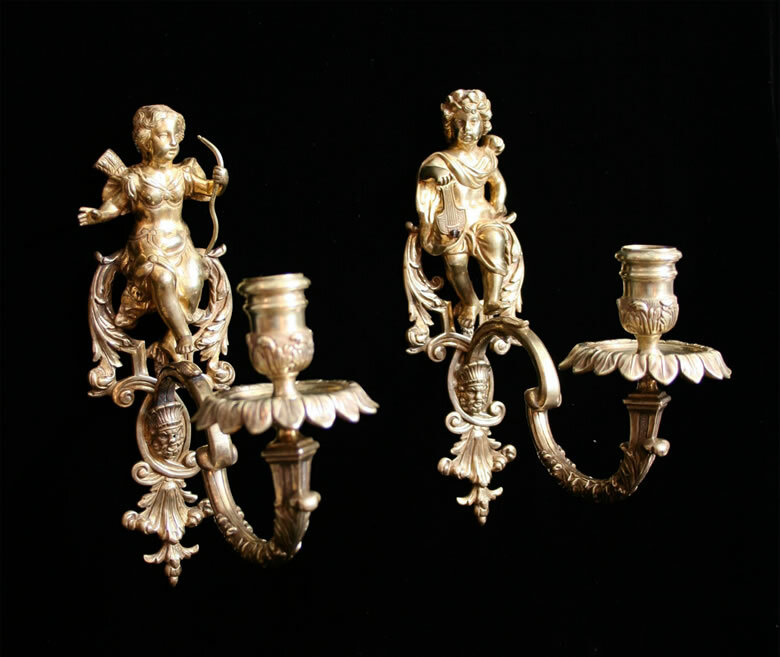 Unusual pair of Régence figural appliques depicting Venus and Apollo on reticulated wall plates. Each with one S-form candle arm. Bronze vernissé.